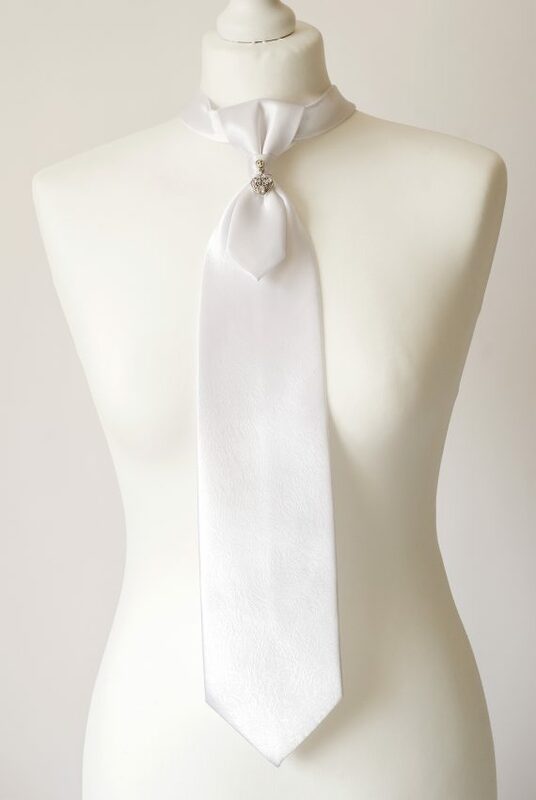 Beautiful Necktie Handmade from Good Quality Polyester Tie and Decorated with Fancy Metal Heart Pendant. Perfect Wedding Accessory! 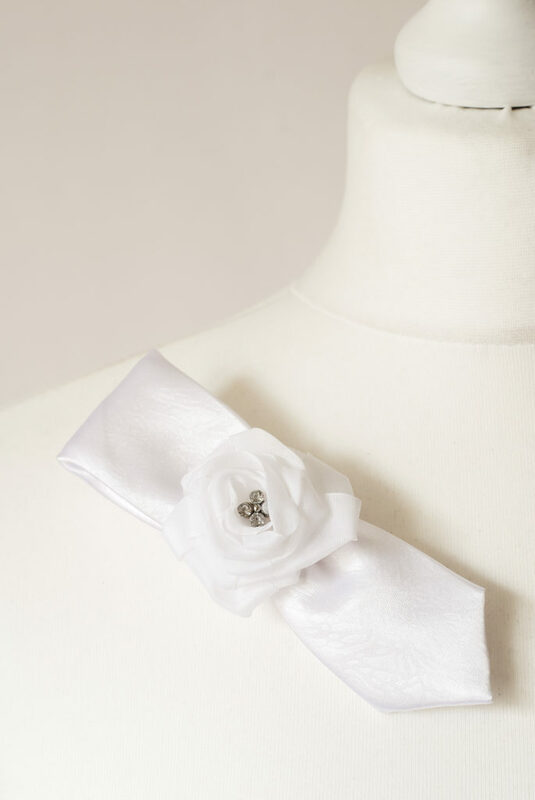 This Necktie has a Matching Brooch – Select it from “Brooches” Category. It’s Pre-tied and has a button and a loop closure at the back.